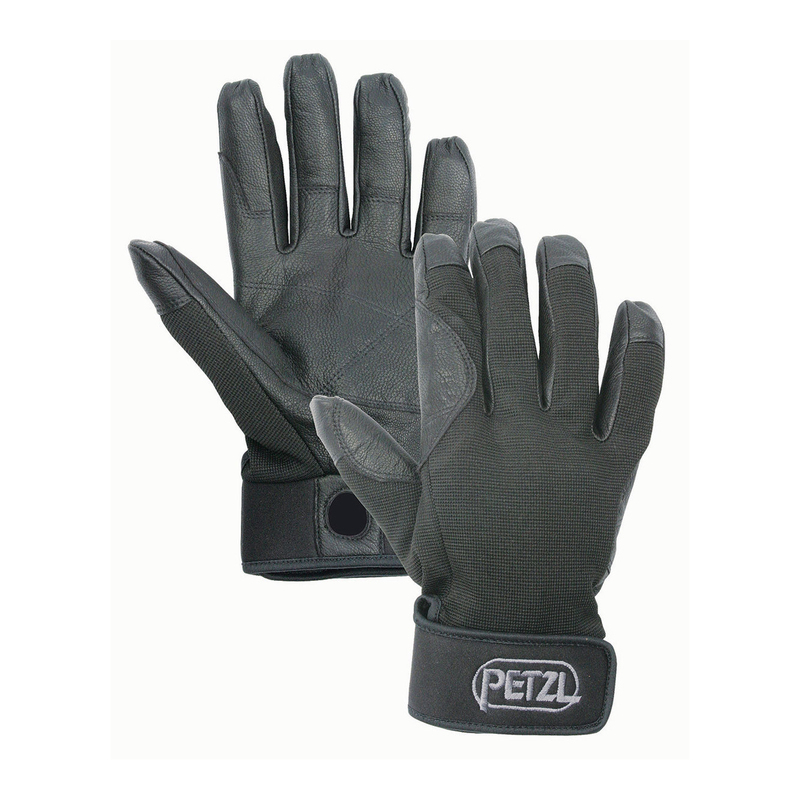 The Petzl Cordex Glove is a hardwearing and protective glove for use during belaying or rappelling. Lightweight and tailored for ultimate flexibility, the Petzl Cordex Glove is reinforced with double-layered leather on the palms, fingertips and between the thumb and index finger to provide durability and protection for your hands. The low profile neoprene cuff has a velcro closure to keep your hands warmer and your gloves secure, as well as having a carabiner hole to allow you to attach the gloves to your harness. For longer mountain days of countless rappelling, for climbers who hands are gnarled enough by the rock, or even just when it gets a bit colder: the Cordex glove is a great edition to your climbing kit.